Previous article Is it time for a blogging break? Is anyone else at all freaked out that it’s been a whole year since Marcella, Isabel, Van and I started Wanderful Wednesday …..
Sure, it’s super exciting that our linkup has made it this long, but it’s also crazy to think that over a year ago Marcella and I met for the very first time [in real life] in a Santiago café to put this little project of ours in motion! 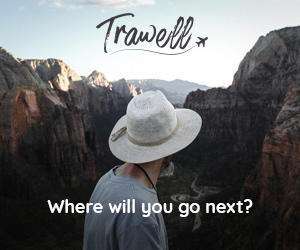 During this past year of life down here in Santiago, Chile, I’ve so looked forward to tuning in every week and feeding my never-ending wanderlust. To letting my mind wander. To traveling all over the world without lifting a finger or spending a cent. Getting to know you guys in this amazing little space of the internet that we call the blog-o-sphere, making connections and friends from all over the world, has been one hell of an adventure! I celebrated Easter in Prague and got to travel home for Christmas in New York City. I was able to visit exhibits that I unfortunately missed while they were in my town. I tasted sweet treats in Vienna, explored street food markets in London and got cultural with cuisine in Bejing. I relived my perfect night in the Sahara Desert and rewalked the quaint cobblestone streets of Lisbon. I also finally got to make that sought after stopover in Iceland. And not only did I travel, but I was inspired and I learned. I picked up some new handy Instagram tips and was introduced to the concept of Creative Place Making. 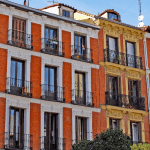 I was reminded about the weirdness of Reverse Culture Shock and the Sweetness of Sharing. You all and this wanderful link up have become such a big part of my life. I think about you often and consider many of you friends. And so, we’re taking today to celebrate all of us in this community! 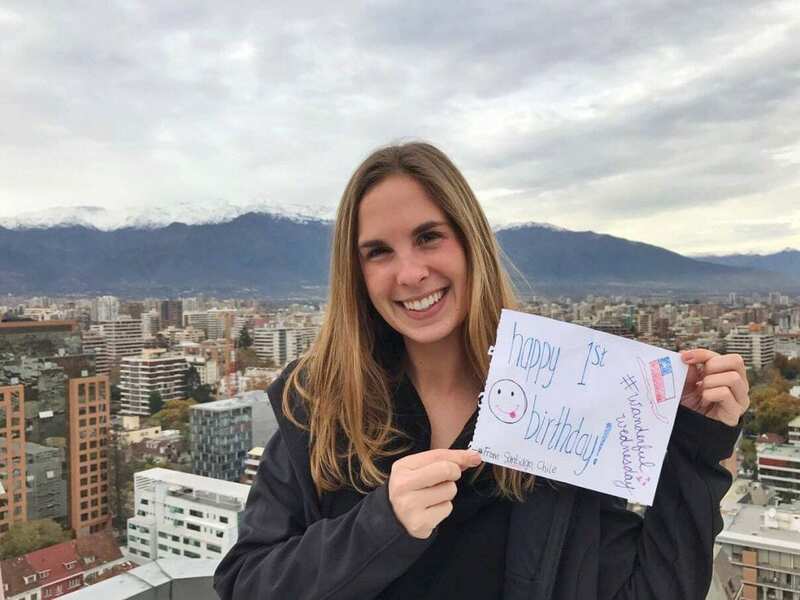 We asked you to take a photo of yourself, where you live or where you are traveling, holding a sign wishing Wanderful Wednesday a happy birthday! 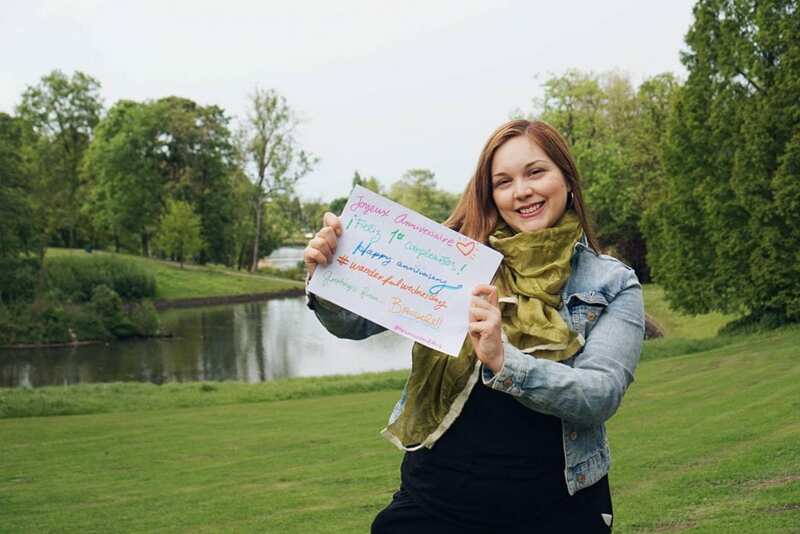 We love to see where you’re linking up from every week and are so lucky to have such a supportive group of bloggers representing cultures and cities from literally around the globe! 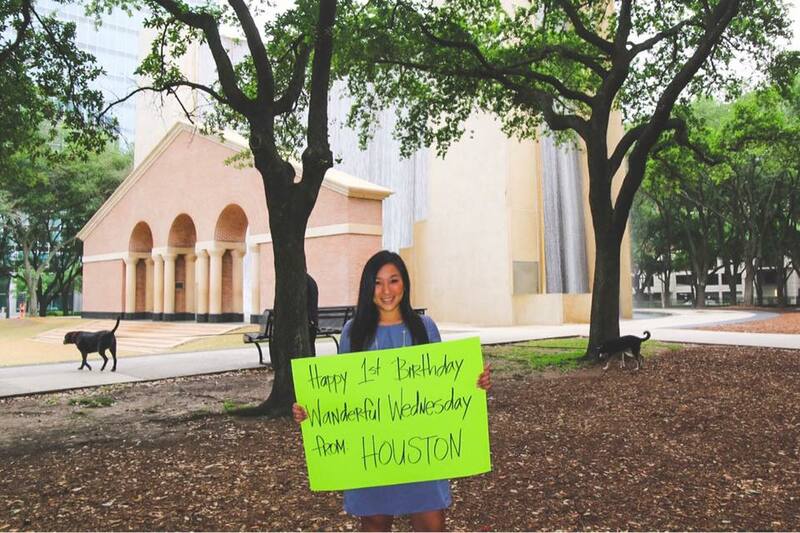 Christine, from “The Journey of Christine,” representing Wanderful Wednesday from Houston, Texas! Melanie, from “Life’s Sweet Words,” representing Wanderful Wednesday from Torreya State Park in North Florida! 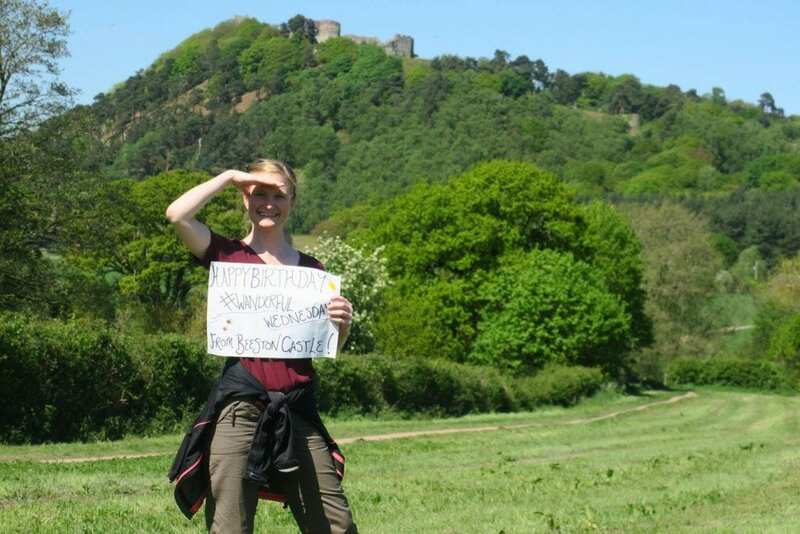 Ali, from “Wandering Feline,” representing Wanderful Wednesday from Beeston Castle, England! 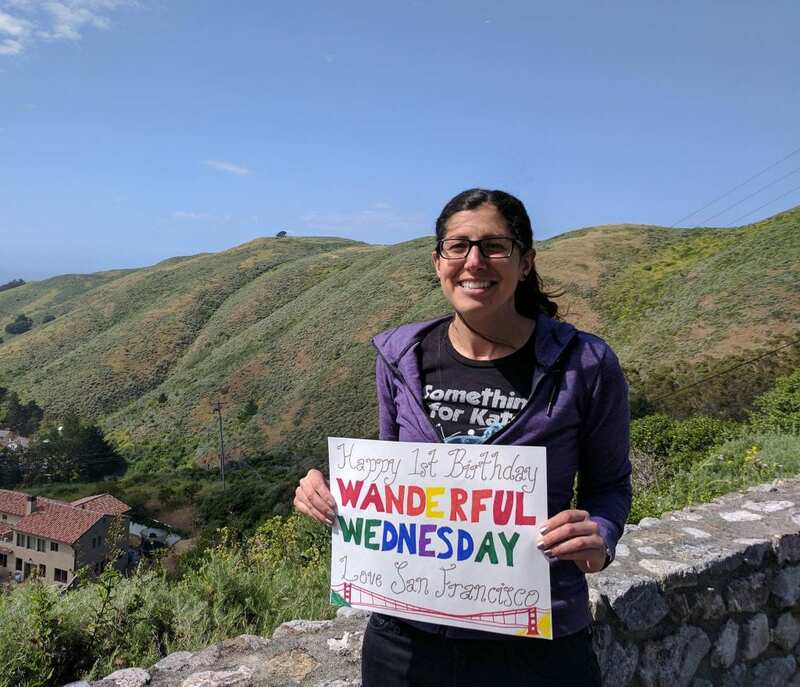 Katherine from “Bright Lights of America,” representing Wanderful Wednesday from San Francisco, California! 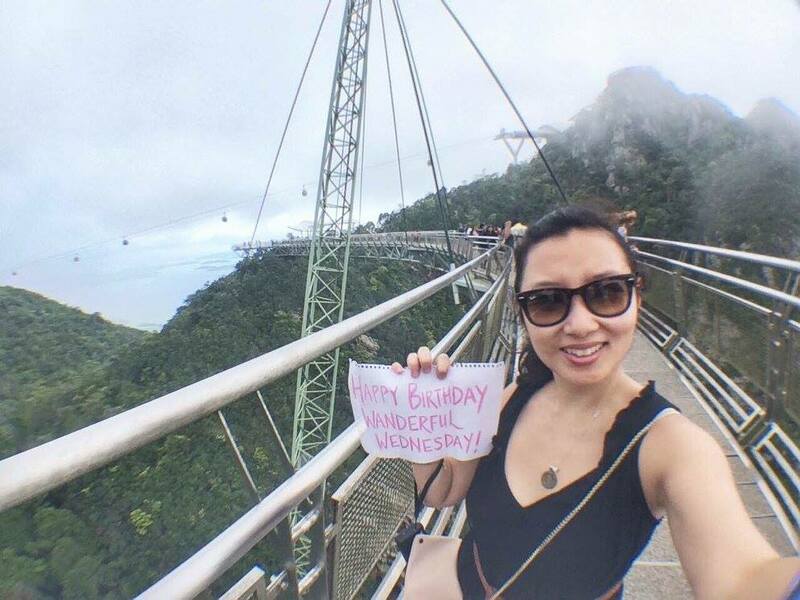 Anna, from Slightly Astray, representing Wanderful Wednesday from the Skybridge in Langkawi, Malaysia! 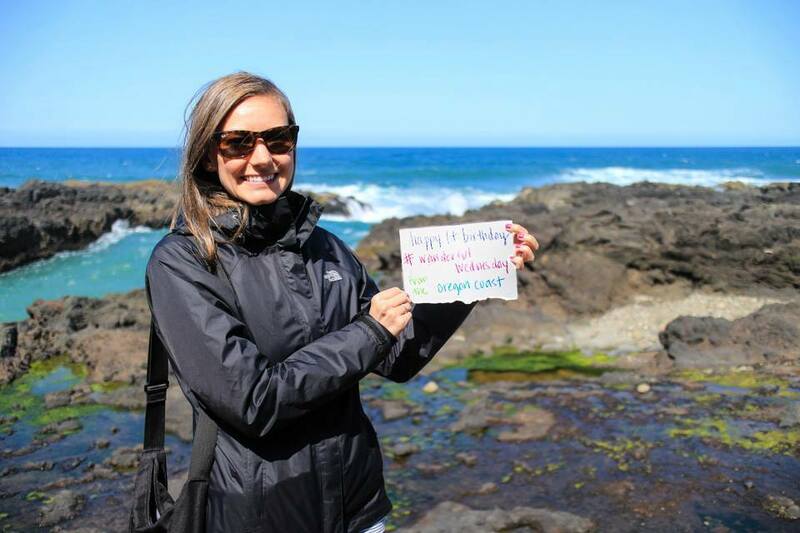 Jaimie from “Ink and Adventure,” representing Wanderful Wednesday from the Oregon Coast! 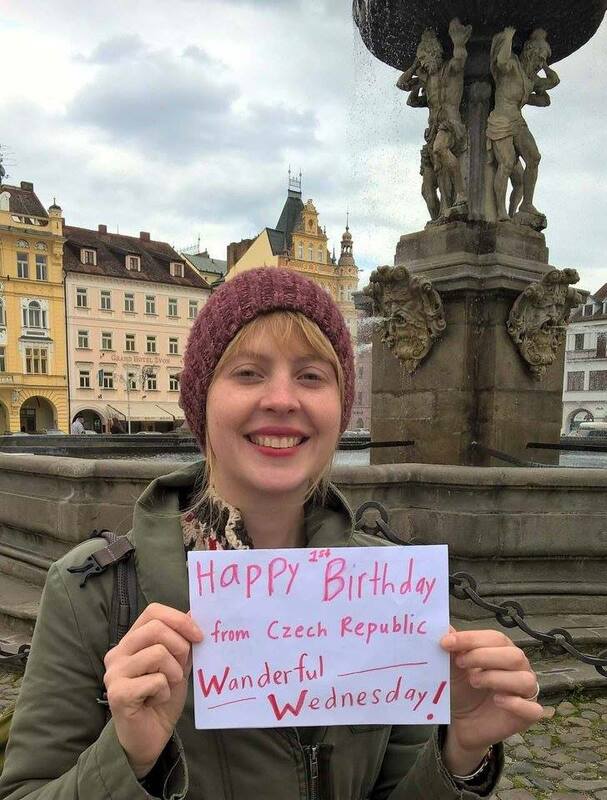 Cynthia from “Adventurings,” representing Wanderful Wednesdays from the Czech Republic! 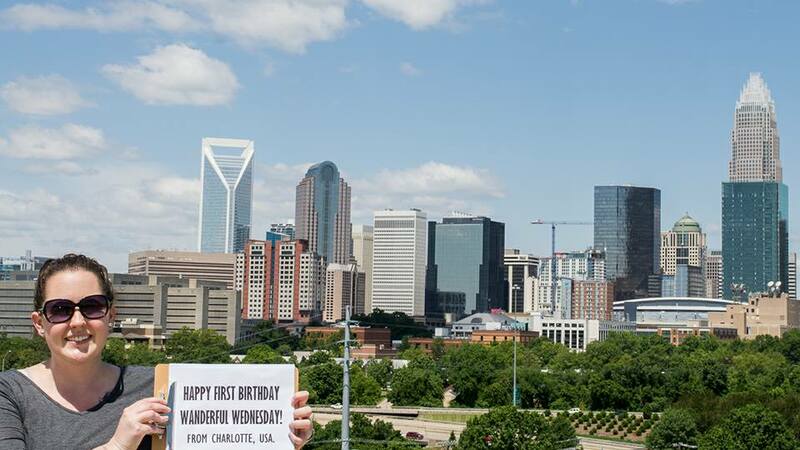 Ava from My Meena Life, representing Wanderful Wednesday from Charlotte, North Carolina in the USA! 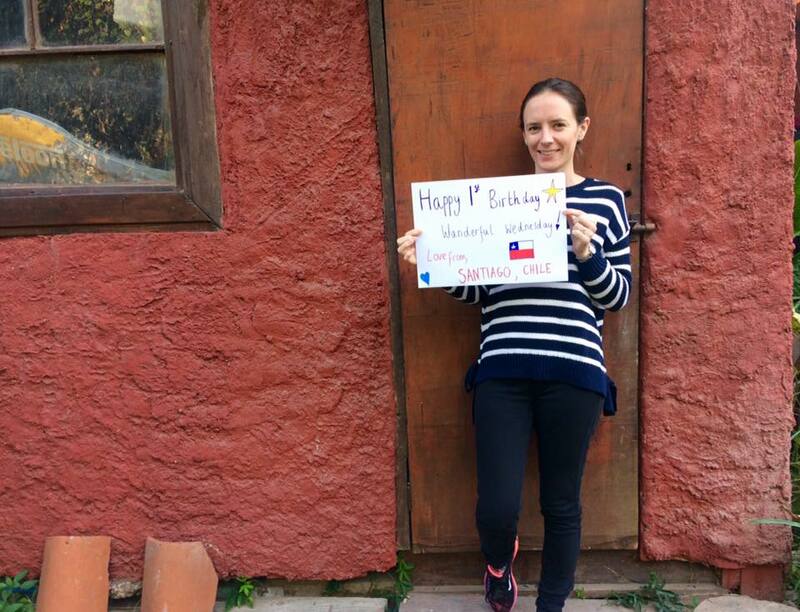 Urska from “Slovenian Girl Abroad,” representing Wanderful Wednesday from Luzern, Switzerland! For all of you that sent pictures, and well for the rest of you linking up today, from wherever in the world you may be, I’d just like to end by saying THANK YOU! Thank you for tuning in. Thank you for linking up. Thank you for the inspiration. Thank you for your comments, your love and your support. Blogging this past year wouldn’t have been the same without you. Here’s to another year of very Wanderful Wednesdays! Welcome to a very special Wanderful Wednesdays! 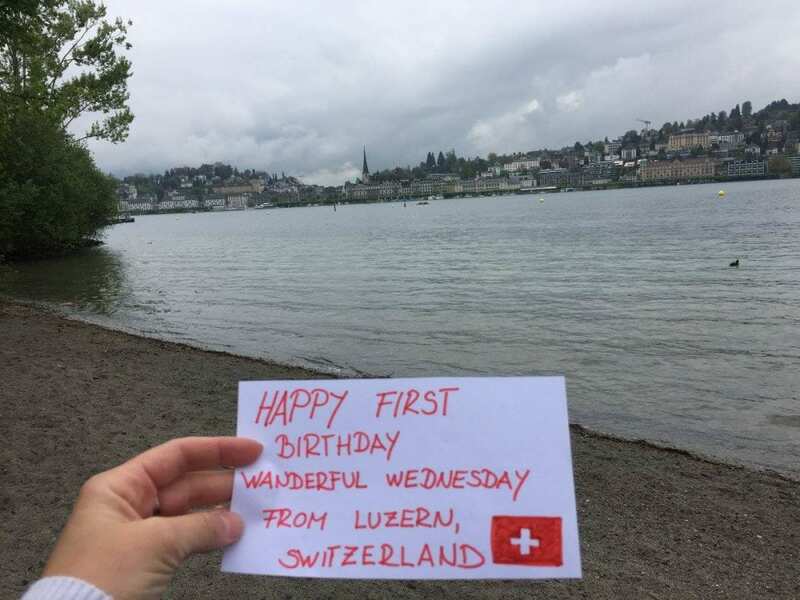 Happy 1st #WanderfulWednesday Birthday! 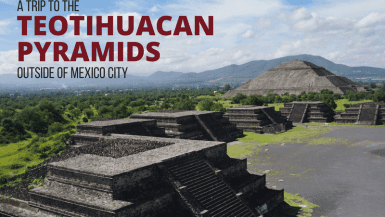 So glad to be a part of this wonderful travel blogging community! Wow, I didn’t know you guys met for the first time for this project. Couldn’t have asked for better co-host! I always love your contagious wanderlust and fresh perspective on things! Thank you for being so patient with me through all my ups and downs. 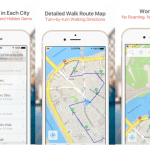 It has been an honor to cohost this link up with you! 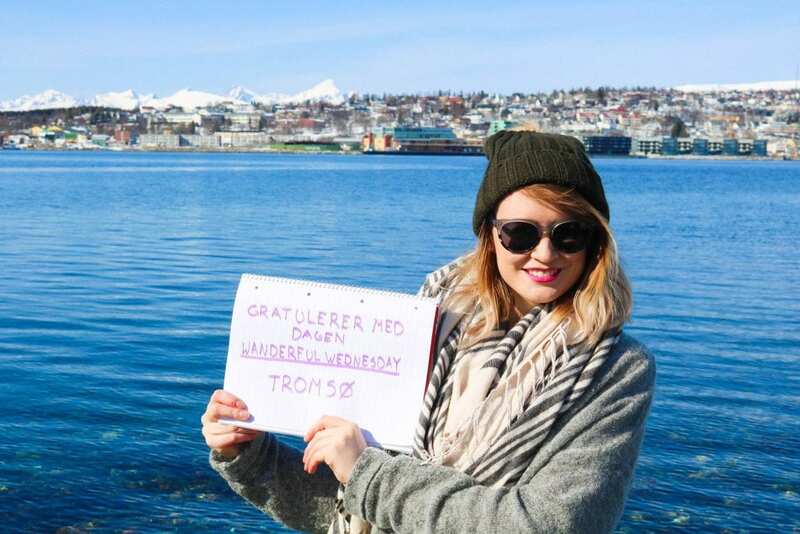 Congrats on 1 year of #WanderfulWednesday! It has been a pleasure being part of this global virtual community! All the best in the years to come! Yay! Happy Birthday Wanderful Wednesday! All you girls rock! I’m so glad to be part of this amazing community! 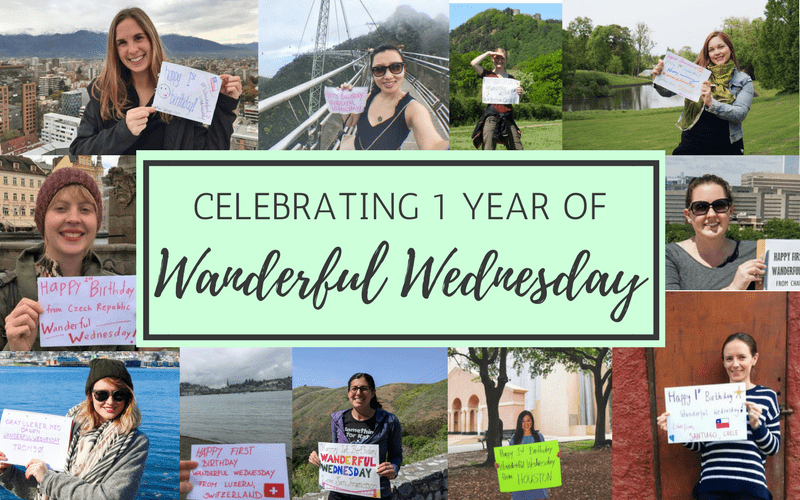 I seriously can’t believe that it’s already been a year of Wanderful Wednesday! 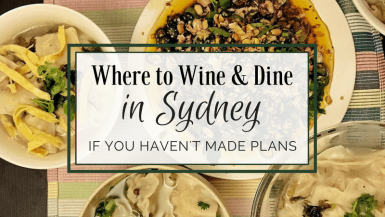 I’m so glad that y’all decided to create this linkup because it’s been so much fun to connect to other bloggers and travel all over the world every Wednesday! I hope that we have many more years to come! Yay for Wanderful Wednesday’s first birthday!! Thank you for being so welcoming, I can’t wait to see what the next year brings! Thank you guys for all the work you have put into the link up for the last year to continue inspiring Wanderlust with all of us!! Cheers to year two (and all your adventures last year)!! I missed the birthday post so will try to do something today and take to twitter…though I’m being very suburban today (tomorrow I’m in the city and could get the bridge…never mind) Happy birthday!! Congratulations! 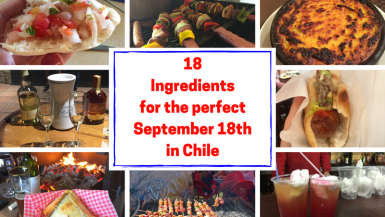 The link-up is so fun and I like seeing where all the other bloggers are from 🙂 Thank you to all the hosts!! Congrats on one year! 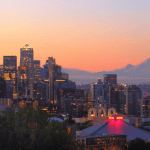 I’ve so enjoyed finding new travel blogs to read through Wanderful Wednesday! I just discovered your fantastic community. Looking forward to being a part of it. Congratulations on the 1 year anniversary! Congratulation, Ladies , on a wonderful year of “Wanderful Wednesday” blog link up! I love discovering new blogs and locations through everyone’s posts. 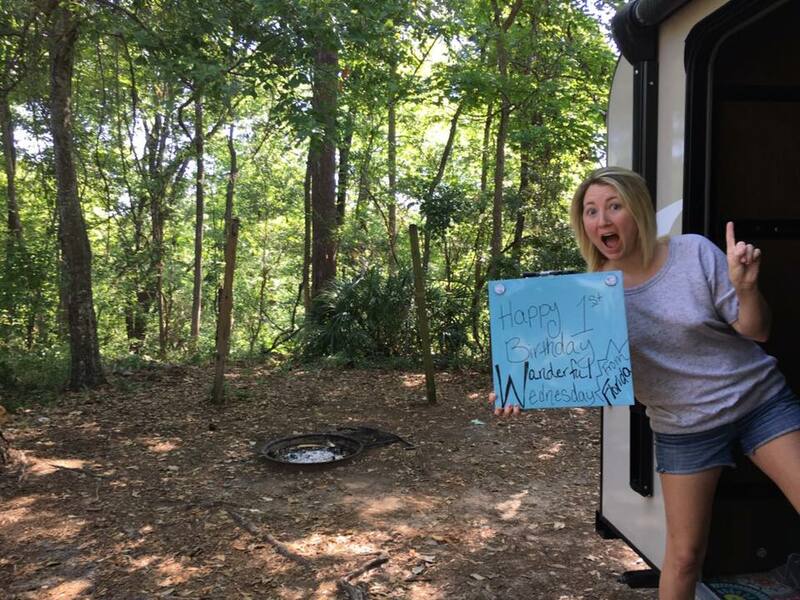 Congratulations on a full year of Wanderful Wednesday! Thanks so much for hosting such a fun link-up! 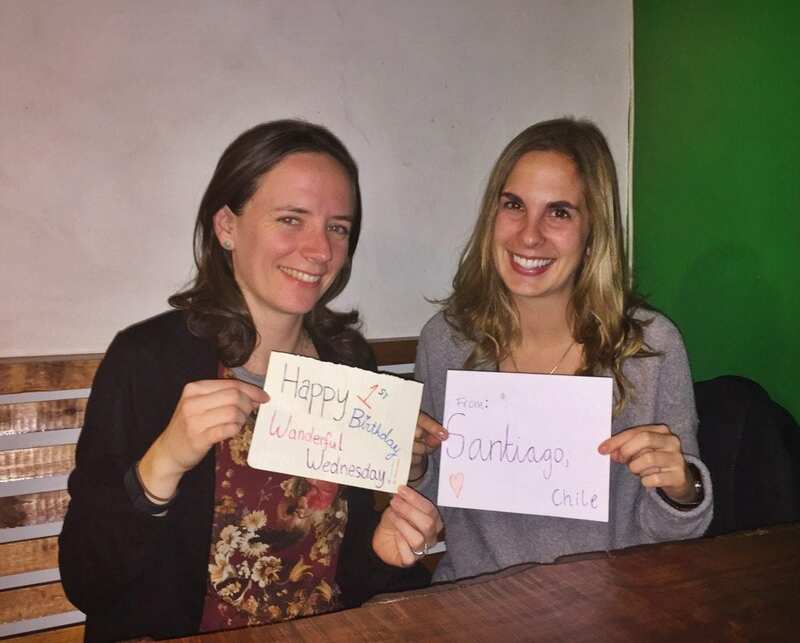 Happy birthday Wanderful Wednesday! I only joined up for the first time last week, but I’m already loving this link up. There’s so much great content! Congrats to you! I love this weekly link up! Happy birthday Wanderful Wednesday link up! I can’t wait to participate more as we head into year 2! Excellent entertainment you share in here and I hope it will be so more well education for us. To get more better enjoy in our life it will be so good tips for us.